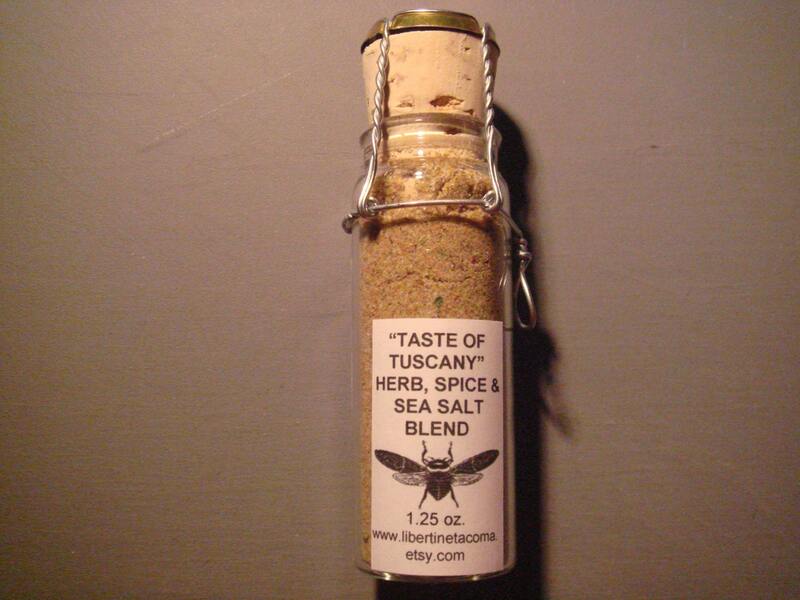 “Taste of Tuscany Herb, Spice & Sea Salt Blend” is a delicious Italian style seasoning that is very versatile. It is a delectable combination of onion, garlic, tomato, black pepper, rosemary, bell pepper, basil, parsley, aji pepper, chili flakes, lime & lemon zest, cumin, coriander, thyme and oregano, olive oil and Mediterranean sea salt. Sprinkle it on chicken, fish or pork after brushing with olive oil. Blend it with some balsamic vinegar and olive oil for a bread dipping sauce. It is amazing on vegetables or roasted potatoes.